New York, New York: A City So Nice We Sailed Around it Twice….. 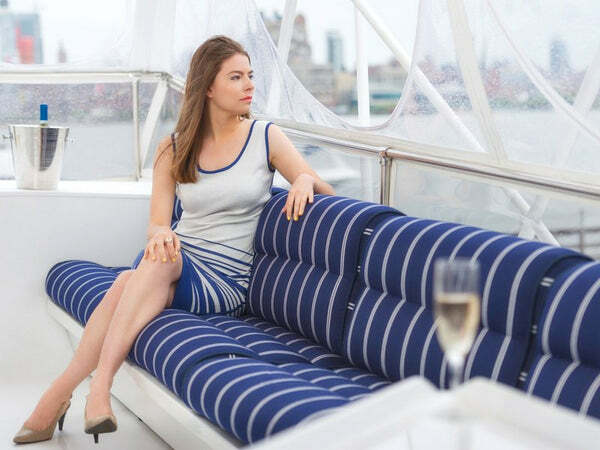 It is obvious that Monica Suma was delighted to be sporting the Jia Collection reversible ABBEE Dress on her cruise around New York Harbor, as evidenced by the beautiful photos posted on her blog Whimsical Tales of Travel & Lifestyle, documenting her day aboard the Yacht Justine. You can read her full post here. Put yourself in her place, as you sail past the Statue of Liberty, which instills in you a sense of pride, while the sight of the Brooklyn Bridge causes butterflies in your stomach. What an exciting city this is! The views of skylines from Manhattan, to the Brooklyn Waterfront and the sighting of other vessels sailing past fills you with happiness and a new sense of wonder. The perfect dress for your day at sea, Jia’s ABBEE Dress is comfortable in its ability to move and stretch along with your body as you progress from starboard to the cabin for a celebratory glass of champagne. An elegant look that is entirely practical for the day’s activities, this dress is a timeless classic of blue and white nautical stripes that will remain a favorite in your wardrobe for seasons to come. Whether you plan a day on board, or your adventures involve a sharply dressed day at the office, followed by cocktails with friends at your favorite outdoor cafe, you will be well attired in Jia’s ABBEE Dress for any event that unfolds. See how Monica changed onto the navy side, getting ready for a night out on the town. 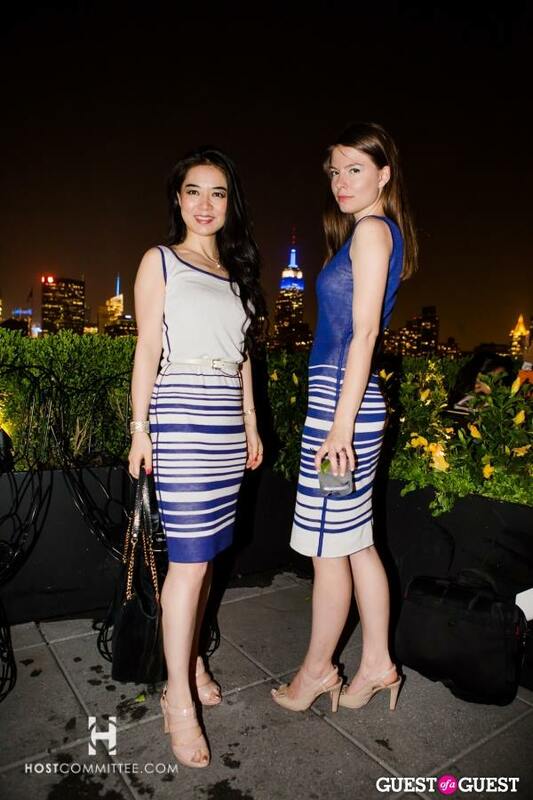 In another week after sailing on Justine, Monica sported the Navy side again to attend the Gogobot’s Jetsetter Kickoff Benefitting Charity: Water. And designer Jia Li happened to be at the same event as well. Jia was also wearing the Navy side so when they bumped into each other it was all panick for a few short seconds, but no worries, Jia went to the bathroom and quickly switched to wear the white side and problem solved! They even got the event photographer to take a nice shot of them together!